What is Public Domain Day (PDD)? Simply put, it is an annual celebration observed on the first of every year, marking the expiration of another year of copyrights, such that the affected works enter the public domain. When works enter the public domain, they become widely available for a range of uses, including online access, so every Public Domain Day gives us a set of new material that is freely available to the public, worldwide. But for some decades, publications from the United States have been notably absent from works that have been freed during this annual event. This is because of the affects of the Copyright Term Extension Act (CTEA) of 1998, which had the net result of freezing the annual moving of US publications into the public domain for about two decades. Copyright law is detailed and the details vary from country to country and over time. Fortunately, Kevin Smith offers a good summary on OI of how the CTEA has affected US publications in their path towards the public domain. HathiTrust has put together a collection of items of publications from 1923, some 53,409 books in all. About 10,000 of these were already in the public domain, but the rest were in limited view due to copyright restrictions. However, on January 1, 2019, the remaining ~43,000 were also moved into the public domain, without the effort or requirement of any HathiTrust partner institution. Of these books, Cornell’s portion numbers almost 1,500 books. By depositing our books in HathiTrust, we have enjoyed the curatorial oversight that this inter-institutional repository offers, and we have shared our books as widely as allowable by law with the world. I think a lot of people stand to win on this one, so Happy Public Domain Day to all! We are pleased to invite applications for the CUL Fellowship. This year’s program builds on the Digital Scholarship Fellowship, which was hosted by the DSPS unit since 2012, by expanding it to all library programs. It aims to provide opportunities for CUL staff to expand their skills and experiences in developing, delivering, and assessing services and empower staff to explore gaps in their areas of expertise” and “promoting flexible staffing among the units. The application deadline is April 6, 2018 for fellowship terms starting during August-October 2018 time-frame. These are just some examples to illustrate the nature of fellowship projects. Other ideas related to any of the CUL programs and goals are welcome. Interested CUL staff members are encouraged to discuss the fellowship position with their supervisors first. If you have questions regarding the HR arrangements and funding please contact Lyndsi Prignon at <lra8@cornell.edu>. 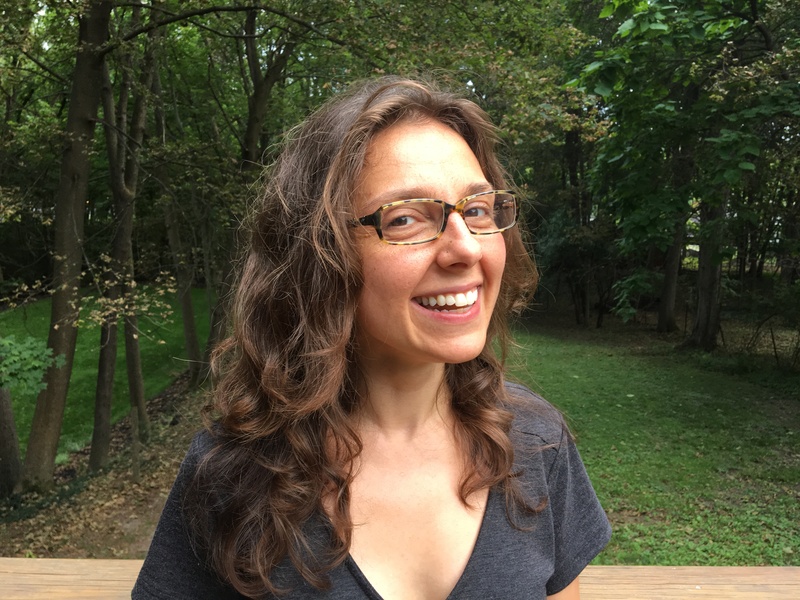 Issues related to the program areas, potential projects, and the scope of the fellowship should be addressed to Oya Rieger <rieger@cornell.edu>. Oya Rieger and Lyndsi Prignon will be glad to talk with interested staff and their supervisors about logistical details such as making back-up arrangements and ways to accommodate the candidates’ existing responsibilities and goals. We will have 2 positions open to CUL staff with 6-month, part-time (0.25 FTE) terms. Although there are no prerequisite skills required, the candidates need to be familiar with the recent trends and practices related to the program of interest. To apply, send a copy of your CV to libhr@cornell.edu with a cover letter describing the program areas of interest and expectations from the fellowship. The applications will be reviewed by a small committee with input from the candidate’s supervisor. The application deadline is April 6, 2018 for fellowship terms starting during August-October time-frame. During the last six years, DSPS has been very fortunate to host several excellent fellows, all very motivated, creative, and resourceful. We are grateful for their contributions and hope that they found the experience useful and gratifying. They are available to talk with interested parties about their fellowship experiences. 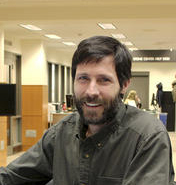 Jim’s fellowship focused on digital repositories. 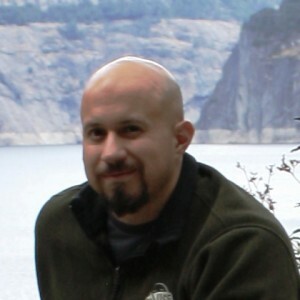 His primary goal was to work with DSPS and stakeholders around CUL to craft a digital repository policy that addresses questions of software, workflow, collection development, and sustainability, while fulfilling the need for both straightforward access to and robust preservation of the items stored in CUL’s digital repositories. As a component of his fellowship, he contributed to the efforts in creating an agenda for the newly established Repository Executive Group and became the first chair. Jim’s DSPS fellowship was for one year at 0.25 FTE. Dianne joined the team of our NEH-funded project on Preservation and Access for Digital Art Objects as the lead Digital Forensic Analyst. This project represented a collection-wide investigation of preservation and emulation strategies for complex born-digital media. Dianne led the project’s technical team and helped develop preservation workflows that would be a baseline for CUL digital forensics services in the years to come. 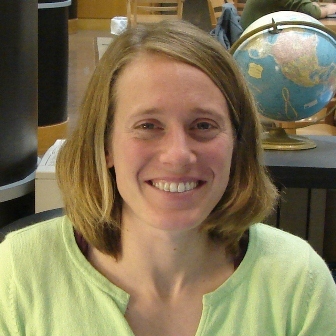 As a part of her fellowship, she has been representing the project at national forums and conferences. Dianne’s fellowship was for two years at 0.5 FTE and continued as CUL’s digital forensics specialist at 0.20 FTE. Erin’s goals for the DSPS fellowship were to contribute to the development of the library website; to explore assessment-related issues for CUL’s digital collections; and to learn from the members of the DSPS Unit towards her future career as a librarian. In her DSPS Press blog, she shared her thoughts on how the Library can enable users to employ a simple search box such as Google, while still allowing them to dive into our vast collection. Erin’s fellowship was for six months at 10 hours/week. Steven’s primary goal was to identify and develop strategies for improving discovery and access of CUL’s content archived in HathiTrust, including outreach and community building (e.g., communication with HathiTrust and data aggregators about interoperability opportunities). He also contributed to the CUL’s efforts to migrate the DLXS-based image databases to other systems such as HathiTrust, Hydra, and SharedShelf. Included in his goals was engaging in the CUL efforts to assess Omeka/Spotlight/Drupal as platforms for creating web-based exhibits and rich-media collections. Steve’s DSPS fellowship was for one year at 0.25 FTE. During his fellowship, Noah was interested in exploring how GIS and visualization techniques and tools are being used in supporting humanities research and teaching, in collaboration with the library staff interested in digital humanities programs. He also was involved in a campus-wide group to survey AV preservation needs across Cornell by conducting stakeholder interviews and gathering data about the condition and value of digital content. His fellowship term was 6-month, 12 hours/week. 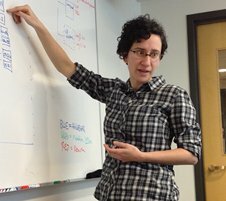 Hannah Marshall has assumed a 0.25FTE, 5-month term to coordinate the Digital Consulting and Production Services (DCAPS) during the DSPS reorg transition stage. Currently she is coordinating the DCAPS operation and works closely with the DCAPS team members to facilitate communication. She has been instrumental in coordinating the outreach process for the Arts and Sciences Grants Program. She also networks with stakeholders such as library subject specialists to make sure that there is sufficient user input to support the development efforts. 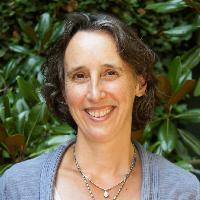 As the first DSPS fellow, over the course of her one year fellowship with DSPS (2012-2013. 0.5FTE), she chaired a newly formed group to address issues related to the management of Cornell’s electronic theses and dissertations (ETDs), including facilitating discussions with the Graduate School, which led to a revised set of embargo options that will be implemented when upgrades are made to the online submission tool used by graduate students to submit their theses ETDs. She reviewed and reported on the results of a pilot project examining the use of Johns Hopkins’ Data Conservancy to host data sets associated with papers uploaded to arXiv, led the production of a white paper examining current approaches to digital repositories within CUL, and contributed to other DSPS efforts such as educating librarians on current issues in scholarly communication (with particular emphasis on research data management and sharing). Finally, she led the development of a collaborative grant proposal to the Institute for Museum and Library Services with the University of Wisconsin-Madison, Columbia University and CalPoly, to develop and share a set of best practices for collecting, documenting and disseminating the research data of faculty nearing retirement. Co-sponsored by the eXtension Foundation, Jeff’s one year .2 FTE “Land Grant Informatics” fellowship identified ways institutions like Cornell might more seamlessly and effectively link people, technology and information in support of our Land Grant mission and the communities we serve, on and off campus. 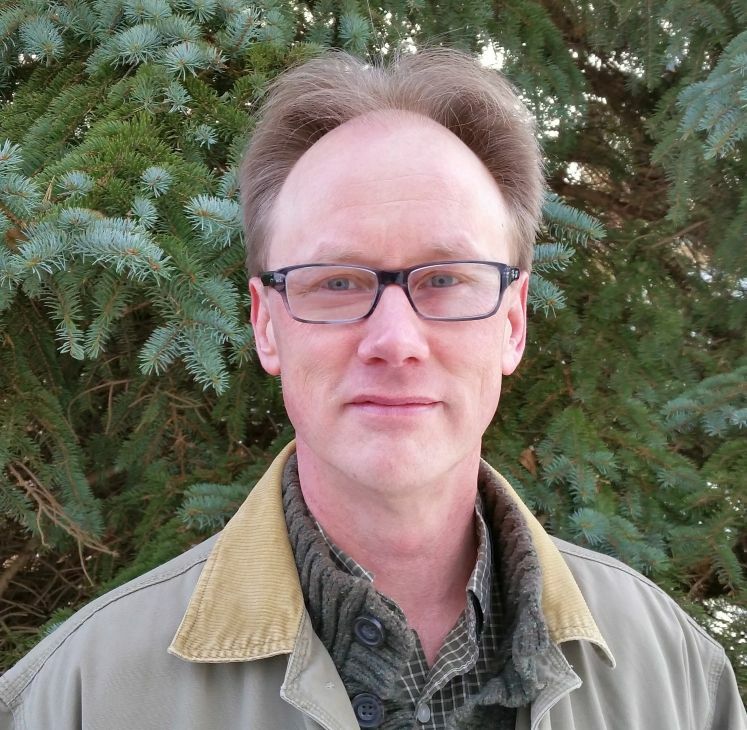 Drawing on his own background and a diverse global network of researchers, educators and practitioners (including Cooperative Extension), Jeff focused on how an informatics approach might specifically support healthy, resilient food systems. His final report is available on eCommons. A complete record of his work including a blog series can be found on the eXtension website here: https://www.extension.org/jeff-piestrak/. 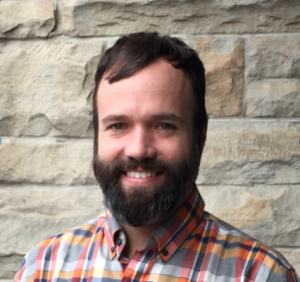 Jeff is now applying and expanding on research from his fellowship through graduate studies in Community and Economic Development at SUNY Empire State College, with a concentration in Social and Community Informatics. Marsha’s fellowship addressed the lifecycle and workflows of digital projects. The Digital Consulting & Production Services (DCAPS) unit of DSPS knows how to create digital image collections, but we have a lesser understanding of how digital collections are being used based on quantitative data (such as statistics on site use from Google Analytics and Piwik) and qualitative data (such as focus groups and personal interviews). In Marsha’s DSPS fellowship, she assessed how digital collections were being used with these data points as metrics. She also examined how we promote our digital collections, and created a checklist for how we can systematically spread the word about new collections when they are launched and thereafter. The checklist can be found here, as an appendix to the project report: http://hdl.handle.net/1813/49677. Marsha’s DSPS fellowship was 8 hours a week for 6 months. We provided a short history of eCommons in a previous post. Now we’d like to introduce you to the staff who keep things running! I should note that we also get occasional help on special projects from other folks in Metadata Services, CUL-IT, and the UX group, but this is the core “all the time” team. Other projects I work on: packaging books for HathiTrust ingest, metadata and image correction in HathiTrust, HathiTrust User Support, LOCKSS box administration, Optical character recognition (OCR) creation, part of team for Archivematica implementation. Favorite eCommons collection or item: New York State Integrated Pest Management Program. Other projects I work on: many library digital collections as well as Samvera, ArchivesSpace, Scholars@Cornell and server administration. Favorite eCommons collection or item: Internet-First University Press: Multimedia and Videos. Other projects I work on: Cornell’s Research Data Management Service Group, Repository Executive Group, CUL Metadata Services and the Data Curation Network. Favorite eCommons collection or item: Seemingly simple but informative datasets on honeybees such as Data from: “Larger but not louder: bigger honey bee colonies have quieter combs” or Data from: How Honey Bee Colonies Survive in the Wild: Testing the Importance of Small Nests and Frequent Swarming. Other projects I work on: arXiv (as the membership coordinator), Copyright information Center (as a first responder). Favorite eCommons collection or item: Cane Seats for Chairs by Ruth B. Comstock and Clark E. Garner. Other projects I work on: arXiv, scholarly communication initiatives (primarily via the Scholarly Communication Working Group). Favorite eCommons collection or item: I’m a big fan of the lecture tapes – there are some gems there. And you can reach ALL of us anytime at ecommons-admin@cornell.edu. 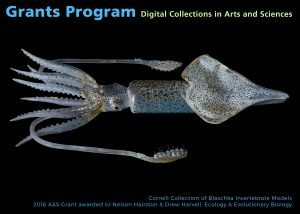 We are pleased to announce the ninth round of the Grants Program for Digital Collections in Arts and Sciences, a program funded by the College and coordinated by the Library. The goal is to build enduring digital resources in support of scholarly and teaching activities in the College of Arts and Sciences, and at Cornell in general. This program is open to all Arts and Sciences faculty and post-A exam graduate students. See list of past awards. Through the Arts & Sciences Teaching Digitization program, Cornell University Library will digitize various material types in support of teaching, for instructors within the College of Arts & Sciences. This service includes metadata creation and online delivery of images, audiovisual, and other visual resources. This is a free service to the College faculty and researcher, and aims to support the teaching mission. For more information, please contact us at dcaps@cornell.edu. 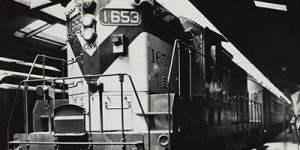 The U.S. Presidential Railroad Commission was established by executive order in 1960 to consider a disagreement between railroad carriers and their union-represented employees. To support the position that firemen were necessary to have aboard diesel locomotives, unions asked members to document their workplaces. These photographs present us with a remarkably complete picture of the railroad industry at that time, as well as the surrounding towns and cities serviced by the railroads. This collection is housed within the Kheel Center for Labor-Management Documentation and Archives, and was processed and digitized with the help of generous funding from the National Historic Publications and Records Commission (NHPRC). 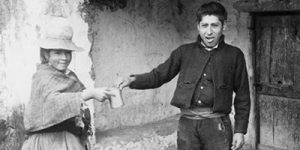 The Vicos Collection documents collaboration between North American social scientists and some 360 peasant households in the northern Peruvian highlands between 1952 and 1965, illuminating critical variables of cultural change in the region. This digital collection includes over 2,000 images and papers selected from the Allan R. Holmberg Collection on Peru, which is housed in the University Archives in the Division of Rare and Manuscript Collections. A lot of eCommons history is ingrained in institutional memory, so I thought I would take a stab at documenting it a bit. Much of what follows was gleaned from a 2008 white paper by the CUL IR task force, whose members included Terry Ehling, Peter Hirtle, Eileen Keating, George Kozak, Mary Newhart, Joy Paulson, David Ruddy, John Saylor (chair), Gail Steinhart, Patrick Stevens, and Glen Wiley. I’ve also passed this by a couple of eCommons veterans, but take responsibility for any errors or omissions (and welcome corrections!). The first CUL-developed repository resembling something like an institutional repository was the Cornell University Library Technical Reports and Papers system, begun in 1999 and built on an early version of the DPubs platform. It was originally populated with content from the Networked Computer Science Technical Reference Library (NCSTRL), which had been hosted by Cornell’s Computer Science Department. Faculty were encouraged to deposit to the CUL-based repository, regardless of departmental affiliation, though few outside of CS chose to do so. Eventually the collection was migrated into CUL’s current general purpose IR, eCommons. In 2002, Bob Cooke (then Dean of Faculty) secured funding from Atlantic Philanthropies to develop an institutional repository for Cornell on the open source DSpace platform, and we called our local instance simply “DSpace” for several years. The stated objective of the proposal was to “stimulate a fundamental reshaping and enhancement of the way research universities and their faculties function by creating an economical vehicle for openly-shared access to formerly inaccessible, but intellectually-rich digital resources, and by implementing affordable alternatives for more formal scholarly publishing.” Cooke himself was an enthusiastic and early contributor, establishing the community “Internet-First University Press (IFUP).” He also actively promoted the use of the IR to faculty; I recall watching him give his pitch at a CALS Department chairs meeting around 2005. Cooke continues to contribute to this day, primarily materials related to the history of Cornell and its faculty (including an extensive collection of faculty interviews). In 2007, with Atlantic Philanthropy funding exhausted, John Saylor (then AUL for Scholarly Communication and Collections) convened the task force referenced earlier to review the status of the IR and make recommendations to senior library leadership for its continued support. At that time the repository was renamed “eCommons” and got a cosmetic makeover. In a future post, we’ll introduce the team that keeps eCommons running. In the meantime, don’t hesitate to contact us with questions or comments.